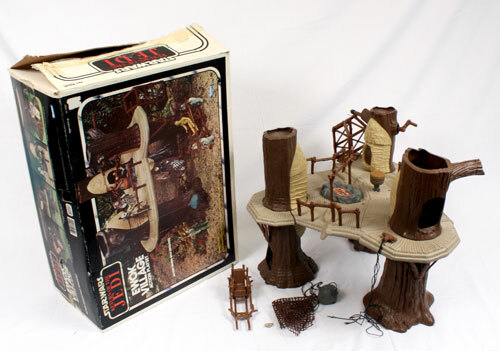 Kenner released a number of playsets from 1977 to 1985. 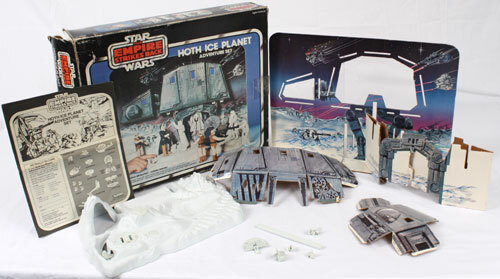 Click below to see the playsets released for each Star Wars movie. It started here for me. 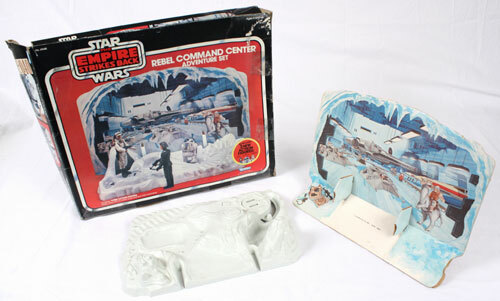 I remember opening this on my birthday in 1978 and falling in love with Star Wars. 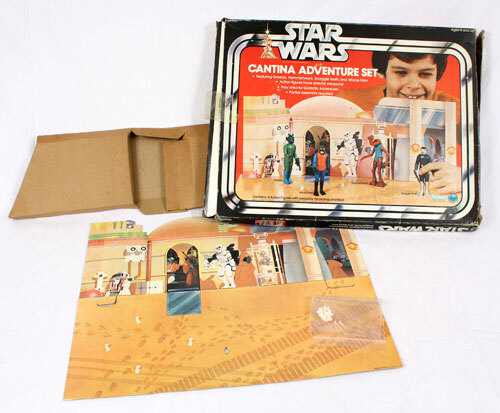 Sadly, I did not get the Sears exclusive Cantina Adventure Set that was released with a taller blue version of Snaggletooth. 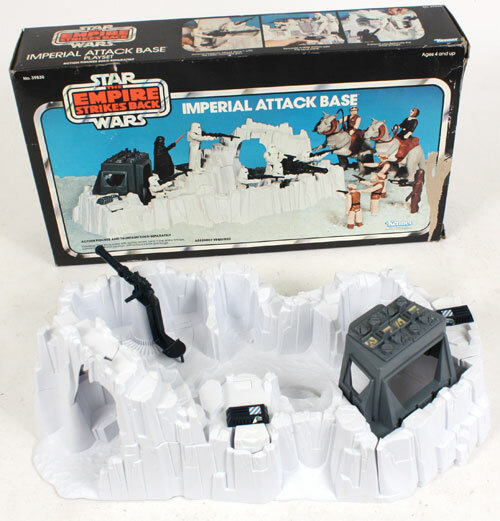 This gem is rare and worth quite a penny. 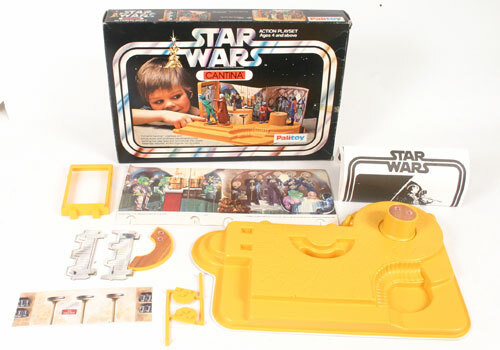 Palitoy also released a Canadian version. 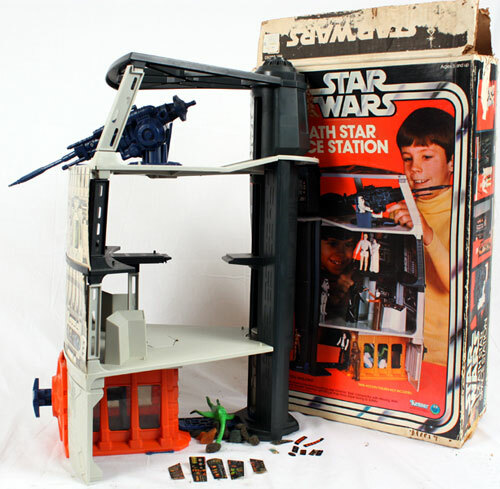 This playset came with tons of little parts to build your own droids. 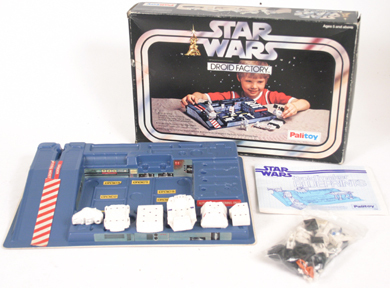 Palitoy also released a Canadian version molden in blue. 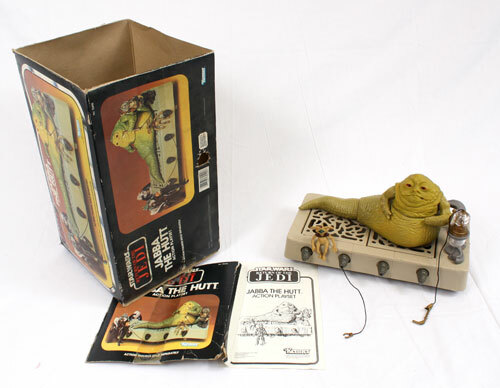 A Kenner gem, this playset came with a massive laser to blow up planets, a trash compactor complete with the garbage monster and a tiny little rope swing that torments collectors to this day. 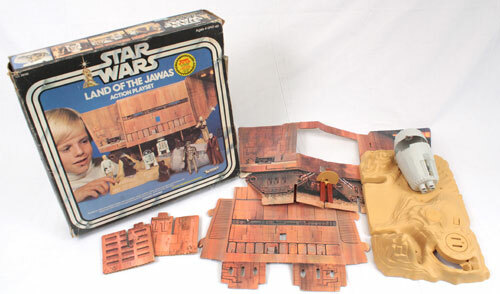 Another Sears exclusive, this cardboard playset was released in 1980 and in very little numbers. 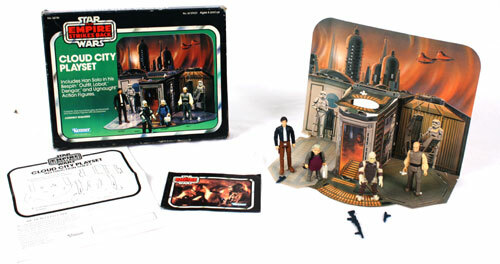 Came with 4 figures - Han Solo, Uggnaught, Dengar (no idea why) and Lobot. 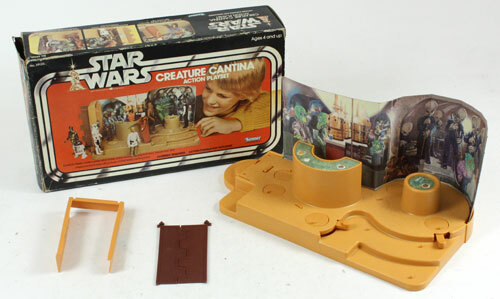 A great playset, this one features gadgets to help recreate Luke's Jedi training! 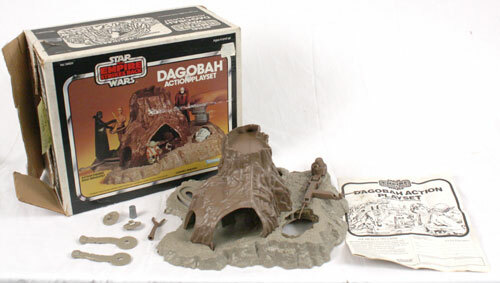 The Return of the Jedi saw the release of the Jabba the Hutt Dungeon, Jabba the Hutt playset and the Ewok Village. 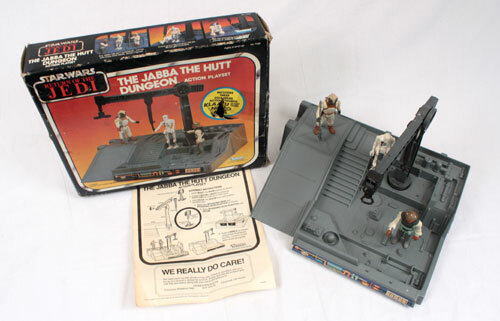 A second version of the Jabba the Hutt Dungeon was also released that features 3 of the late-release Power of the Force figures - EV-9D9, Amanaman and Barada.